Flow Athletic is a yoga and fitness organisation in the heart of Paddington – they not only help your become fitter but also help you to be an incredible person inside and out. To have their customers feel and look good are their primary objectives. They have been happy users of Alsco’s high-quality towels for more than 18 months and counting. We at Alsco are pleased to share their journey with you. 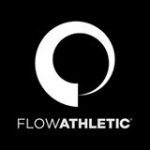 The idea for Flow Athletic began back in 2009. At the time, I was training for a 100km Ultra marathon and was getting really sore from the training. I started Yoga in an herbal Bondi studio to aid my training. There was an incredible yoga teacher there named Kate, who would pack a punch in her classes. Over time, we became friends. One morning over a tea with Kate I mentioned to her that she needed to start her own Yoga business because she is so extraordinary at what she does, she needs to see more fruits of her labour. She needed to think about this. She came back to me and said she would take it on only if I did it with her. At the time, I owned 3 smaller gyms on the North Side. I said I would be in as long as we could include some fitness aspect. We hold over 120 group exercise classes as well as over 150 personal training sessions a week. 1. What’s a regular day like in Flow Athletic? We open early, 5:30 AM for classes. Then run Yoga, Spin and Strength classes all day, at least 20 classes. There are 25+ personal training sessions also happening daily at the studio. 3. What’s that one thing in your business venture that you’re really happy about? The incredible community we have built within Paddington. Part of our ethos in starting the business was that we wanted a friendly, no ego studio where everyone knew your name. We have fewer instructors that take more classes so they get to know all our members better. We have an incredible admin team that works really hard on amazing customer service. At Flow you are not just a number, but an important part of our community! 4. How do you invite more people to your fitness/health classes? 5. What sustainability practices do you do at Flow Athletic? And how do you think these can help the environment? We have over to a paperless office. We want to do our bit to save a few trees. 6. What’s the best experience you have had at Flow Athletic so far? Every 6 months we hold an event called ‘Flow After Dark’. This is a Yoga class with a DJ held at the Paddington Town hall. You can reach out and invite people to join too. Flow After Dark is a Yoga with a DJ event held at Paddington Town Hall. The town hall is a beautiful old building that can hold 3x the number of people our Yoga studio can. The number of people moving is unison combined with incredible tunes, great lighting and an incredible vibe leads to an extraordinary event. The Flow business values, which dictates our hiring model and, therefore, our staff. These values are the cornerstone of our hiring model and also our team member performance review. 8. Tell us about the most amusing customer/client you’ve ever met in your business. We once had a client who did a spin class with her iPod on to listen to her own music. 9. What made you decide to choose Alsco? We had heard great reports from other gyms that use their services. It will be the towels. We go through so many weekly and your service is second to none. Alsco would like to thank Benjamin Lucas, Director of Flow Athletic. ‘Your desire to change must be greater than your desire to stay the same’ – this is what Flow Athletic’s is all about. They want to make sure that all members are fit and that they have a good relationship with the other members. At Alsco, we provide a rental program for spa products such as plush towels, hand towels and face towels. Our day spa linen is made from quality fabrics and is available in various sizes and colours for your fitness gym. For more information, contact Alsco support 1300 659 892 – our friendly representative awaits!